The star had to cancel almost a third of his tour last year after being admitted to hospital in Vienna but is now to give 1,000 tickets for a forthcoming concert date to medical staff who helped him. The cancelled UK dates have now been rescheduled for September and October as he resumes his Symphonica live shows. After arriving back in London in December, the singer called his hospital spell as "the worst month of my life" and said it had been "touch and go" whether he would recover. He was in intensive care and also underwent a tracheotomy which made it difficult for him to speak after he was discharged from the Austrian capital's AKH hospital. But today he was said to be "back in good health and fighting fit" as revised dates were announced. They include a new show in Vienna for which he will give away a number of tickets to show his gratitude. He said: "I would like to take this opportunity to say thank you first to the doctors and nurses who saved my life and took such great care of me, and to all my fans, family and friends for their love and support. I'm looking forward to seeing everyone." 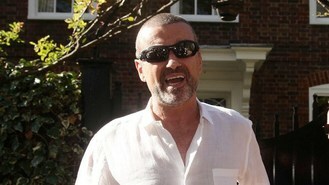 His new dates include a postponed Royal Albert Hall show which had been due to take place in May. His first UK date will be at Birmingham's LG Arena on September 16, moving on to Manchester, Glasgow, Sheffield, Newcastle, Cardiff, Liverpool and London. He winds up his UK shows with three concerts at Earls Court.